Water pills, or prescription diuretics, are used to increase urine output and help your body get rid of excess fluid or salt. Doctors often prescribe diuretics to people with a medical condition such as heart, kidney or liver disease, lymphoedema, thyroid disease, arthritis or chronic venous insufficiency. Extra fluid in the body makes it hard for the heart to work properly and can affect breathing. But there are many other causes of water retention which are related to poor diet and dehydration. The most common cause is eating too much refined salt. Other potential causes of water retention may be related to excess histamine production, allergies, hormonal changes, a hot climate, or medication side effects. Prescription diuretics can significantly affect mineral levels in the body, which can cause other health issues. Magnesium, sodium, and potassium levels should be checked frequently when taking prescription water pills. In addition, blood pressure and kidney function should also be tested regularly. Other negative side effects of using prescription diuretics can include: tiredness, dizziness, dehydration, cramps, weakness, frequent urination, and skin rash. In general, we recommend only using water pills if prescribed by a doctor for a specific medical condition. Otherwise, you might want to consider looking into the potential causes of water retention and understand how the balance of water, salt and potassium in the body is essential for health and hydration. There are also a number of natural diuretics that can help restore water balance in the body. The following natural substances can help reduce water retention when the primary cause is dietary. Clean Water. 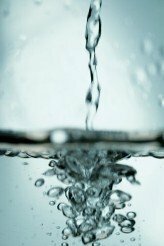 Dehydration is one of the least recognized but most prevalent causes of water retention. Thus, contrary to what we might think, drinking more clean water regularly may help alleviate symptoms of water retention. It is best to drink filtered water that contains naturally occurring minerals in water rather than demineralized water, such as RO or distilled, when water retention is an issue. Caffeine. Drinking tea, coffee or energy drinks that contain caffeine may have a mild diuretic effect. Parsley. Adding fresh parsley regularly to salads or cooked meals can help reduce water retention. Studies have found parsley seed extract significantly increased urine output. Drinking parsley tea or taking parsley seed extract pills are effective ways to get the diuretic benefits of parsley. Dandelion. Not only does dandelion act as a diuretic, it also cleanses the blood and liver, and increases bile production. Dandelion leaves can be boiled and eaten like spinach. Dried dandelion can also be made into a tea. Uva Ursi. Also called bearberry, uva ursi is useful for bladder and kidney infections, prostate disorders and diabetes. It fights bacteria, promotes the excretion of fluids, and strengthens the heart muscle. Hibiscus. The hibiscus plant helps to excrete fluids and prevents the body from losing potassium, which is critical to the water-mineral balance in cells. Hibiscus tea can be made by steeping the dried hibiscus flower petals in hot water. Or hibiscus can be found in supplement form. Water Pill Supplements. Natural vitamin supplements for water retention usually contain one or more of the above herbs, as well as vitamin B6 and potassium. These supplements can be used as a short-term aid to reduce water retention. Even though these supplements are often marketed for weight loss, we do not recommend them for that purpose. They simply don’t work since any water weight that is lost will return as soon as your body re-hydrates. Phyllis A. Balch; Prescription for Nutritional Healing, Fifth Edition. MedicalNewsToday.com; Seven Natural Diuretics to Eat and Drink; 2017.